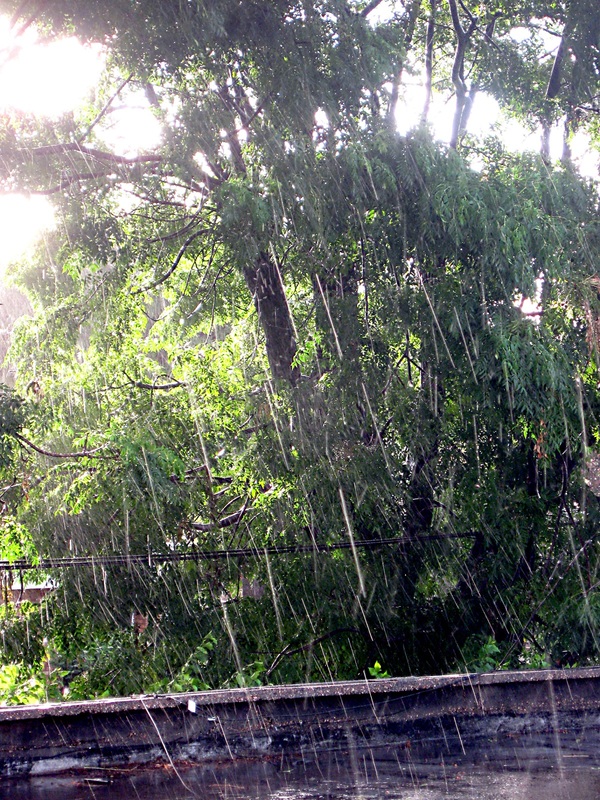 Will El Nino Rains Make My Trees Unsafe? In a record-breaking 4 year long drought, the first signs of El Nino rainfall were welcomed with gratitude by most San Diego residents. While we certainly need the rain, many San Diego residents were recently reminded of the potential risks and hazards brought about by much higher than average rainfall. When heavy, consistent rains pound the ground, especially after years of drying and hardening in drought conditions, the soil can quickly become saturated and unstable. Unstable soil around your trees’ trunks and roots can cause an unsafe platform for your trees. Mild or moderate winds blowing against a wet, heavy leaf canopy can cause trees in stressful or weakened state to fail and come crashing down. Even trees that appear healthy can become unstable if their roots are unstable soil. Ordinarily, one of these issues is not enough to cause an otherwise healthy tree to fail. However, several of these factors combined create the recipe for a hazardous situation and potentially dangerous outcome requiring emergency tree services. If you observe one or more of the above-mentioned factors in your trees, contact Emma Tree Service for a free tree service consultation. Taking simple steps now may help prevent very serious damage in the coming rainy months.